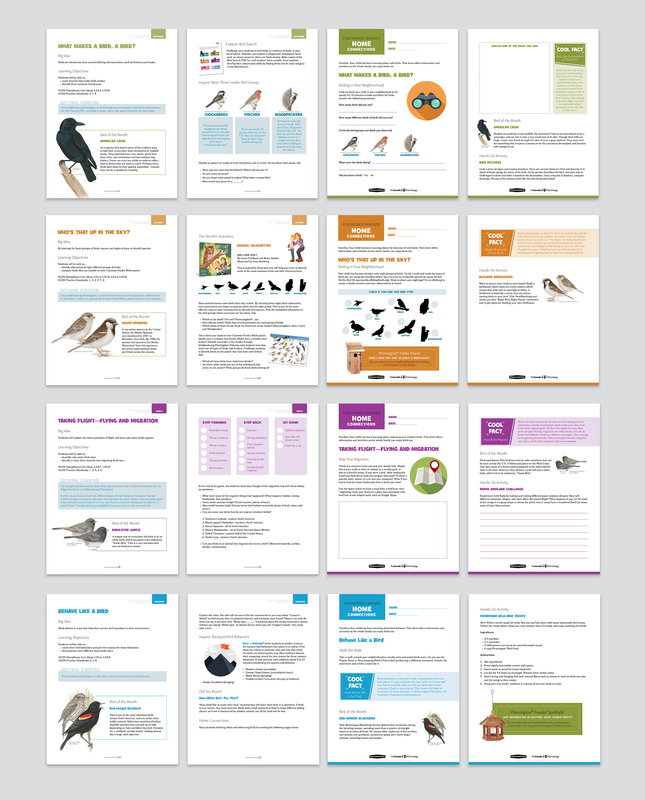 Feathered Friends – Design. Art. Photography. 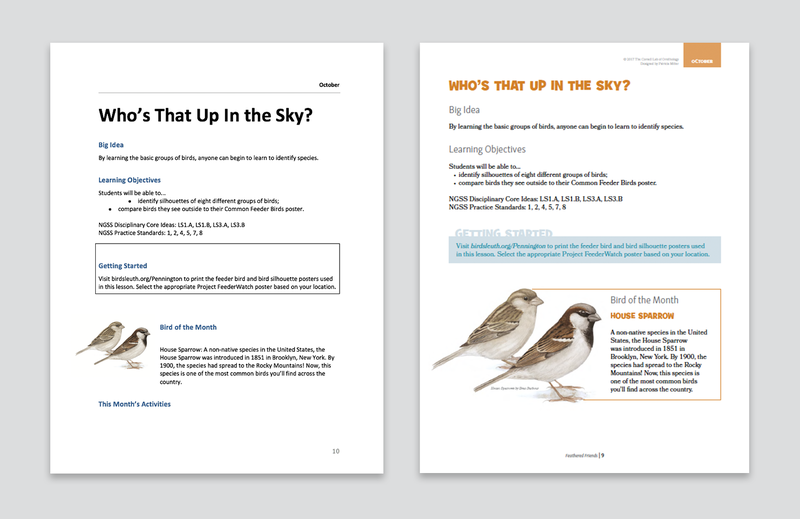 Feathered Friends is an educational guide designed for teachers with 55 pages of activities. 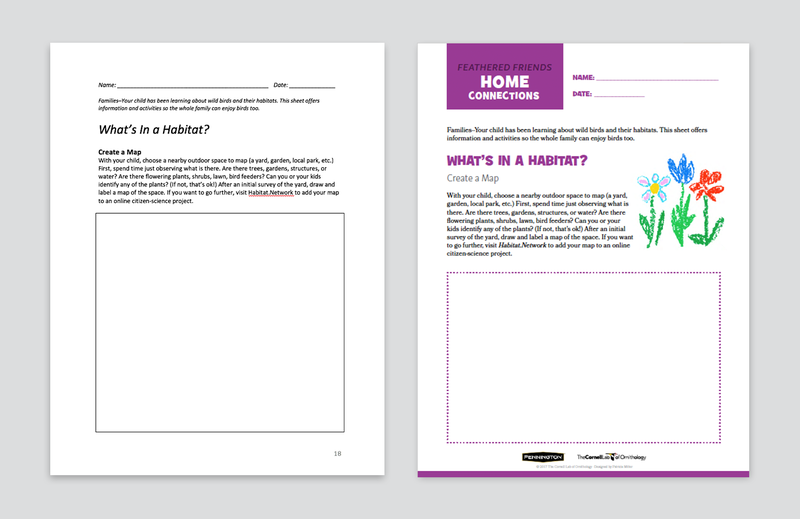 Created by Bird Sleuth K-12 of Cornell Lab of Ornithology together with Pennington® Wild Bird. The Lab needed to redesign the guide.